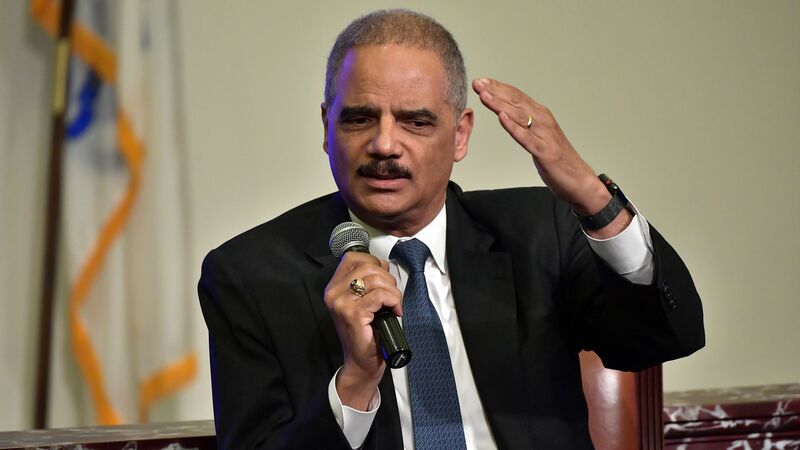 Eric Holder, Obama’s former Attorney General, told an audience at a political event in New Hampshire Friday that even if Trump is using his pardon power to send a signal to potential witnesses in the Mueller probe, people who are pardoned can still go before a grand jury. Bottom line: Holder said Trump issuing pardons "will not ultimately thwart the Mueller investigation." That’s because "if Bob Mueller, for instance wants to take a pardoned person, put that person before a grand jury, that person no longer has the ability to say, 'I'm going to invoke my Fifth Amendment right'" and "that person then becomes a perfect witness for the special counsel." Catch up: Trump pardoned conservative pundit Dinesh D'Souza this week, and has also pardoned “Scooter” Libby, Joe Arpaio, and Jack Johnson.